I'm in Haven: Gingham Happy Birthday! 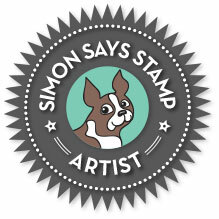 I used the Simon Says Stamp Stained Glass Love stamp/die set to make this sentiment. 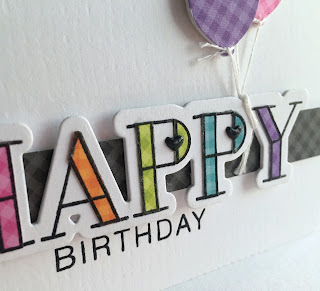 I LOVE using these letters with patterned paper...gives them such a fun look!! I stamped and cut the letter pieces with a scissor. I adhered them to a stamped and die cut "HAPPY". I added tiny black hearts and glossy accented them. 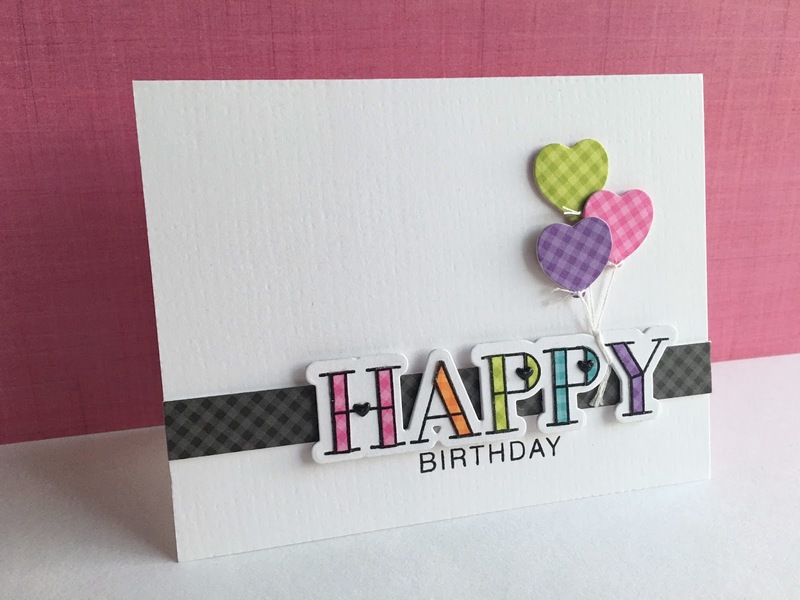 I tied three die cut heart balloons to the sentiment and popped it up on a black gingham strip with "BIRTHDAY" stamped below it. All were adhered to a card that I had embossed with my go-to favorite thing right now, burlap! What a lovely CAS card though I know it took some time to make so simple look so great. Wow! Cutting out all those interiors for the letters. 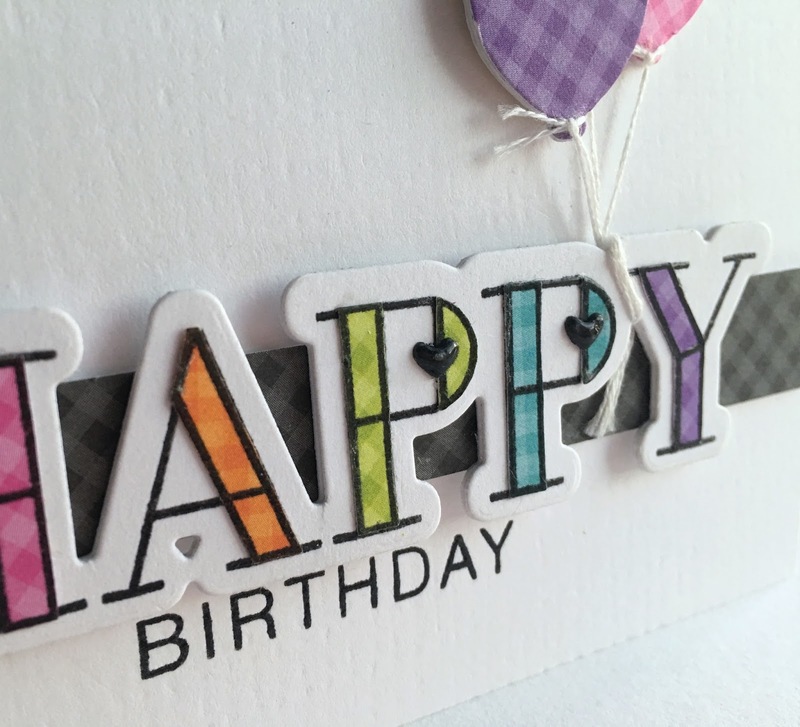 I have been looking for ideas for simple birthday cards and this is a good one. I'll probably just color in my letters though. So glad you got it all arranged the way you wanted it. Your design is wonderful and I love all that colorful gingham! Awesome card, Lisa. I like the version you settled on and can't imagine it being done like the other three cards for the blog hop. Thanks for the inspiration. I LOVE this card, Lisa!!! Worth the wait. You finally got it PERFECT! Beautiful inspiration using the heart dies!! The rainbow gingham pattern is really lovely !